The appearance of nimbus clouds in the sky instantly makes some of us wish for rain to go away. Children worldwide are accustomed to singing this nursery rhyme while they are hoping that the dark clouds above the sky go away. 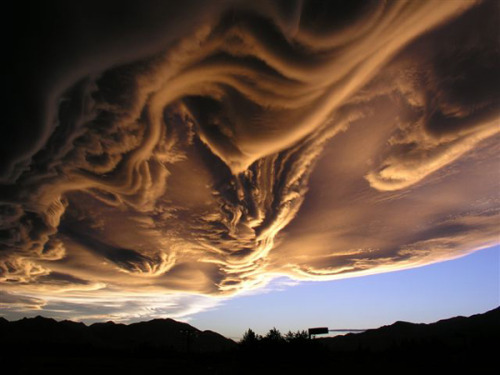 These dark clouds are known as nimbus clouds. Hailing from the Latin word Nimbus which means rain storm, these nimbus clouds are known to bring rain, although there are times when it does not necessarily happen. Nimbus clouds are dark clouds forming in the sky. Their dark color is usually attributed to the fact they carry a lot of water droplets which thus make them look ominous. It usually signals a heavy rain shower, although at times, the rain shower is not felt by us as the precipitation turn out as virga, or the rain fall which evaporates before it reaches the ground. They are usually positioned in the lower altitudes owing to their weight because of the amount of moisture it contains. Nimbus clouds does not only bring rain, but also snow, fleet, or hail depending on the temperature of the atmosphere. They usually block the sun because of their heavy and dark appearance. Love your site, will be stopping back again.